For those who love words. 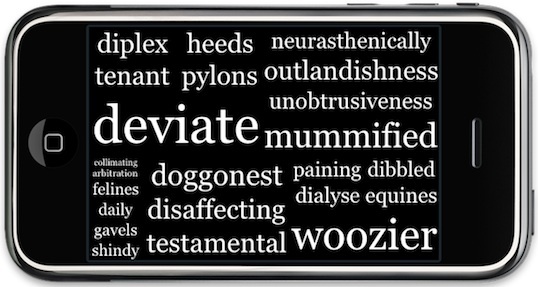 WordSlate is a constantly-changing display of wonderful words. 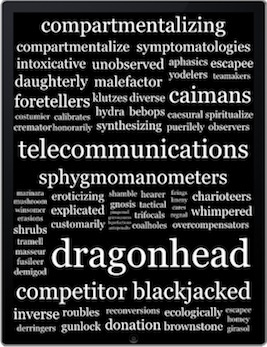 Use it on your iPhone, iPad, or iPod touch, and let it passively introduce you to hundreds of new words. Place on a desk, nightstand, or coffee table as an elegant and interactive decoration. Works in landscape or portrait mode on any iOS device. 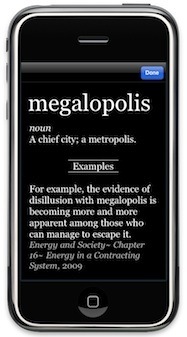 Tap a word to view definitions and examples provided by Wordnik. No two configurations are exactly alike. 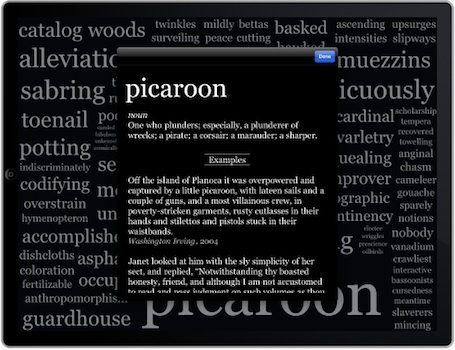 WordSlate constantly changes its layout and vocabulary to keep things interesting. Efficient and low-power — WordSlate won't be a drain on your battery.